Traditional culinary options in Tokyo, Japan, do not typically include Southern favorites such as gumbo or country fried steak. But when a couple born and raised in the South relocate to Tokyo and open a restaurant, their heritage can’t help but impact the fare they serve. 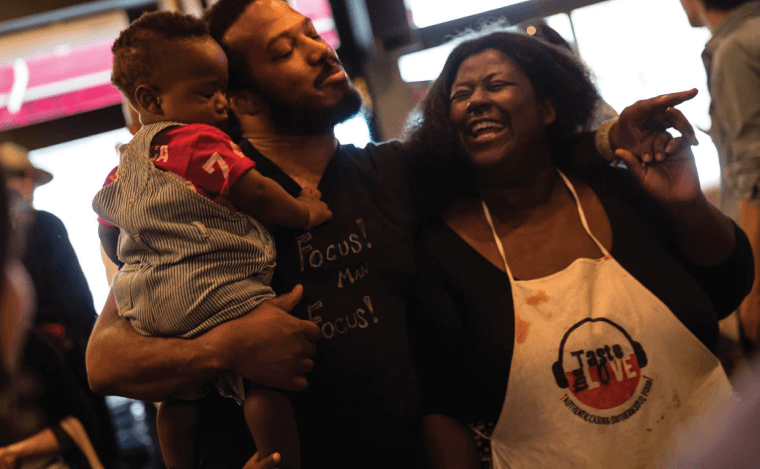 For LaTonya and David Whitaker, the Soul Food House is an opportunity to share their roots and the comfort foods of the South. LaTonya grew up in Clarksdale,Mississippi, before attending the University of Southern Mississippi in Hattiesburg. She went on to Atlanta, Georgia, to attend Mercer University McAfee School of Theology for a Master of Divinity and Counseling. “Moving to Atlanta was the best thing because I fell in love with David there,” LaTonya said. David grew up in Atlanta and attended Campbell University in North Carolina. While in seminary, LaTonya and David became close friends with a Japanese pastor and his wife. “When it was time for them to return to Japan, they invited us to Tokyo to lead a mission trip. We had never considered going to Japan, but it sounded like an amazing opportunity,” LaTonya recalled. “For that trip, we ended up bringing 25 kids and adults to Japan for two weeks.” It was on that trip the Whitakers felt called to return to Tokyo for an extended time. They did return and planned to stay for two years of mission work. “Two years turned into three. Three turned into five, then 10, and now we have been here for 13 years,” LaTonya said. The first year the couple was living in Tokyo, their Japanese friends suggested they host a Thanksgiving party to share a bit of the American culture. “About 40 people came to the first party and it was an amazing time. We did this party for 10 years. Forty people grew into about 200. We invited people to just come and celebrate what they were thankful for and just eat. No money needed. After a while, half of the party we didn’t even know – friends invited their friends, and we all became a big family,” David said. Word of LaTonya’s scrumptious cooking spread, and she was asked to teach cooking classes for Niki’s Kitchen World Cooking (International Cooking Class). “Originally, I thought I was too busy and said ‘no’ to the offer. Then I remembered telling my nephew he could come to Japan after he graduated, and I would pay for it.So for extra money, I decided to give teaching the cooking classes a try, and that turned out to be one of the best decisions I ever made! 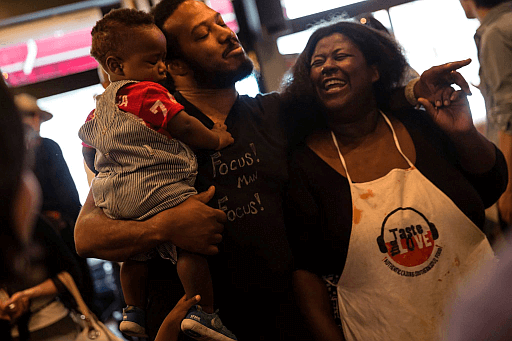 Unknowingly, it helped lead to the beginning of Soul Food House,” she said. While traditional Southern foods are a part of the Whitaker’s heritage, neither of them had a culinary background. “We never intended to open a restaurant. If anything, we just wanted to open a cafe to give a space and a voice to local musicians,” LaTonya said. “We just love people and want them to enjoy good food. In Japan, the image of American food is a hamburger, hotdog, and steak. America has so much more to offer to the culinary world, and we wanted to share that.” LaTonya initially thought sharing American cuisine through the cooking classes she was teaching would accomplish that desire. “But when I found out I was pregnant, all that changed!” The Whitakers were told they could not have children, but after 13 years of marriage, LaTonya became pregnant with their son, Jonas, now four. As a Southern girl, she was craving soul food when she was pregnant. “I love Japanese food but there was nothing I wanted to eat in Japan,” LaTonya laughed. “I wanted some catfish, mac and cheese, and chicken and dumplings. I wanted to eat a good steak and cheese sandwich, gumbo and so much more. 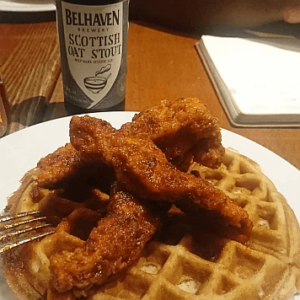 I had that feeling of ‘I love it in Japan but I just need a taste of home.’ So we decided to pen Soul Food House to share our love of southern comfort foods.” It was not an easy or simple journey to open the Soul Food House. With the support and kindness of investors, coupled with the grace of God, their restaurant became a reality. 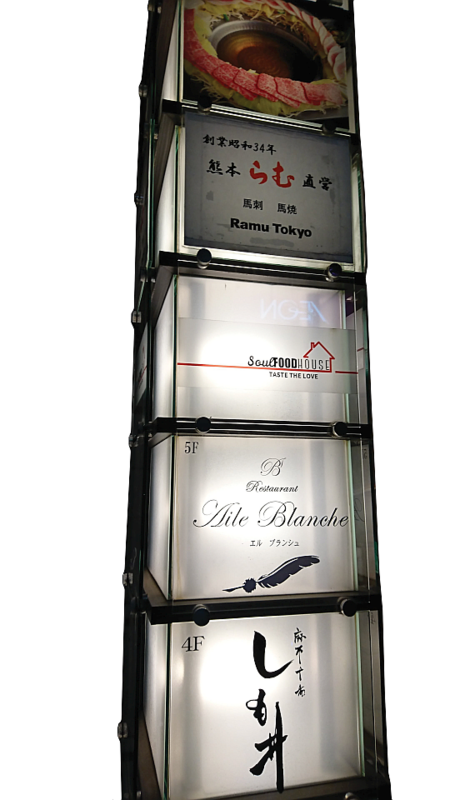 Since opening in August 2015, their Southern cuisine has been embraced in the bustling neighborhood of Azabu Juban, Tokyo. “The Japanese love the gumbo, chicken and waffles,hot chicken, spare ribs, anything pulled pork and even the catfish. Most Japanese are afraid to try catfish for the first time because in Japan, catfish are mainly used to tell when an earthquake is coming. Because they are bottom dwellers and not good for sushi, catfish from Japan is really not considered tasty. So when they try catfish for the first time at Soul Food House, they are very surprised and love it,” LaTonya said. David and LaTonya would like to start a culinary student exchange with the institutions in the Delta so that young people can see the possibility that exists beyond their local area, through getting a different perspective on food, community and society. What is their favorite thing about life in Tokyo, which is so far from their Southern roots? LaTonya replied, “The appreciation of what we do.” Being thankful for soul food is universal!